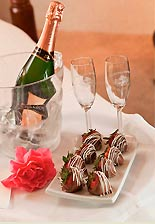 Napa Valley vacations are never the same when you stay at Churchill Manor. From an extra treat in your room to the Napa Valley Wine Train, these Napa Valley vacation packages will complete your stay. Our variety of Napa Valley bed and breakfast deals are perfect for celebrating special events, couples planning a romantic getaway, or just a way to indulge in everything our inn has to offer. 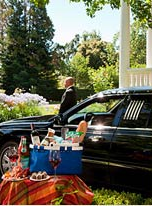 We hope that our variety of Napa Valley vacation packages and specials can help make planning your trip to beautiful wine country more easy and affordable! All you need to add is each other. Relax in your two Churchill Manor luxury microfiber robes (S/M/L/XL/XXL) and slippers. Renew with two Swedish massages, one-hour each, provided in-room in our king-bed guest rooms or in the privacy of our downstairs parlor for our queen-bed guest rooms. Flip on a soothing fire (all guest rooms), sink into a relaxing bath (8 guest rooms), and the rest is up to you! This Package adds $569 to a two-night stay. Additional nights may be added. 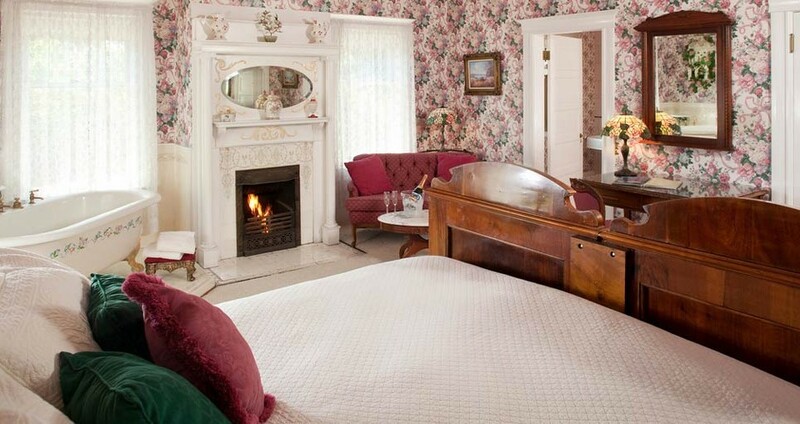 Add a relaxing fire, bubble bath (8 guest rooms), and the rest is up to you! Package adds $399 to a two-night stay. Additional nights may be added. All of our favorite things wrapped into one great package. We do all the planning so you can just relax and enjoy! Package adds $1499 to a three-night stay. Additional nights may be added.